JNTUA 1st Year Results 2019: JNTUA B.Tech 1st Year (R13, R09) Supply Exam Results Dec/Jan 2018/2019 available at jntuaresults.ac.in and jntuaresults.azurewebsites.net. Candidates may check their jntua 1st year r13 results, jntua 1st year r09 results below. 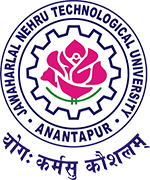 Jntu Ananthapur University has conducted the JNTUA B.Tech 1st Year R13, R09 Supply Examinations in the month of December/January 2018/2019. After Completion of valuation jntua 1st year r13 and jntua 1st year r09 supply results are released at http://jntuaresults.azurewebsites.net. Sir… b-pharm e am results release chayandi sir plz…..
Sir,when will the r13 1 yr dec supply results will be announced its been really too late and i have been waiting for it so much.please release it as soon as possible. Please release r09 results btech 1st year results always completed 3 months when u r releasing please tell???????????? ?